Jakub Vrana and Alex Ovechkin scored 68 seconds apart early in the third period Friday night for the Washington Capitals, who moved into a tie for first place in the Metropolitan Division with the Islanders by edging New York 3-1 in Uniondale, N.Y. Both the Capitals and Islanders have 81 points, though New York has a game in hand. T.J. Oshie was credited with an empty-net goal with 1:28 left for the Capitals, who have won three straight and five of their past six. 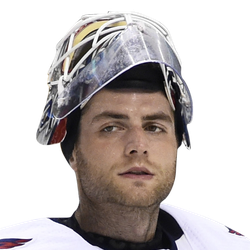 Washington goalie Braden Holtby made 20 saves. The Capitals are 2-1-0 this season against the Barry Trotz-led Islanders. Trotz steered Washington to the franchise's first Stanley Cup win last season. Tom Kuhnhackl scored in the first period for the Islanders, who have lost four of six (2-3-1). 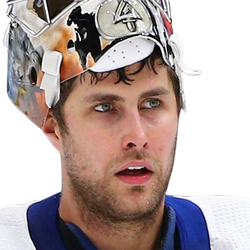 Goalie Thomas Greiss recorded 26 saves. A Capitals turnover led to the Islanders taking the lead fewer than three minutes into the game. Dmitry Orlov's clearing pass was picked off in the neutral zone by Kuhnhackl, who raced toward Holtby untouched and shuffled the puck before backhanding a shot under Holtby's legs at the 2:43 mark. Vrana tied the game following the first of two chaotic sequences in the Islanders' crease early in the third period. Michal Kempny's pass into the goalmouth ticked off the skate of teammate Nicklas Backstrom, who was between New York defensemen Nick Leddy and Johnny Boychuk. The puck bounced to Vrana, who put it past Greiss at 3:26. An interference call on Anders Lee 55 seconds later set up a quick power-play goal by the Capitals. A shot by Oshie was shoved away by Greiss, but the puck bounced into the air and Ovechkin swooped past Islanders right winger Cal Clutterbuck and batted the puck over Greiss' head -- and his outstretched glove -- into the net just 13 seconds into the power play. The Capitals put the game away on what amounted to an own goal by the Islanders with 1:28 left. Josh Bailey tried clearing the puck with a no-look pass into his own zone, but there was nobody behind him and Brock Nelson could not catch up before the puck skittered into the net. Oshie received credit because he was the last Washington player to touch the puck.